Montalvo Arts Center is a great place for a person who loves the arts to make a serious contribution, to grow with the organization, and to have fun surrounded by gifted, committed people. 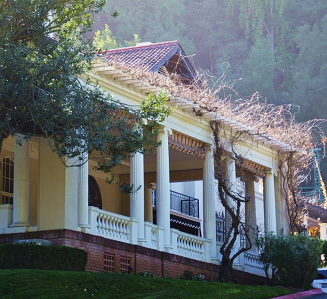 To manage our unique community resource with its diverse arts programs and historic estate, Montalvo employs an integrated management process. This focused approach effectively links functions, activities and information throughout the organization so that operational strategies, service initiatives, new program ideas, and funding and marketing opportunities benefit from multiple perspectives. Through this approach, Montalvo staff become vested in each others' success. Current employment openings are listed below. To apply, please submit a Montalvo Employment Application along with a cover letter and resume to Human Resources. Looking for Volunteer or Internship Opportunities? If you are an individual or group representative interested in joining Montalvo’s outstanding Volunteer Team, please click here to visit the volunteer opportunities and information page. Thank you!